Christopher Nupen's documentary The Trout, featuring Jacqueline du Pre (born this day 66 years ago) and friends, in its entirety. When the American Economic Association kicks off its annual meeting tomorrow in Denver, the normally staid convention will be tinged with controversy: On the agenda is whether economists should adopt a code of ethical standards. The proposal comes after the housing crisis, the credit crunch, the financial crisis, the recession, the collapse of several European economies, and the overhaul of U.S. banking regulation dealt their respective blows to the prestige of the profession. More to the point, it comes after a long series of notable economists offered opinions or wrote papers pertaining to those events without disclosing major conflicts of interest. Janine Wedel & Linda Keenan: Shadow Elite: Do Economists Need a Code of Ethics? - George Stigler: Economics or Ethics? 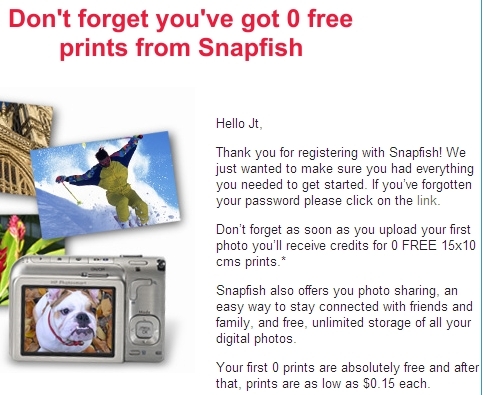 for reminding me that I've got 0 free prints from your company.